Having a fire rip through your workplace is not only very dangerous for your employees and clients, but it can also mean complete destruction for your livelihood. Luckily, fires are one of the easiest workplace disasters to prevent if you take the right steps. Conducting a fire risk assessment can help to make sure that your business does not fall victim to a fire. Keep these risk assessment tips in mind when it comes time to keep your company safe. Identify any risks – look for any ignition sources at your business, such as cooking appliances, heaters, electronics, machinery, open flames, halogen lighting, and more. Make sure that all ignition sources are kept away from flammable materials and other fuel, including wood, paper, gasoline, trash, and chemicals. If you have any risky areas, make sure that all of your employees know how to stay safe. Remedy the risks – all fire safety rules should be enforced, such as banning candles and limiting smoking to a designated outdoor area. Fire escape routes should be planned throughout the building, and hang safety signs throughout the company. Make sure that you have fire extinguishers placed throughout your building and that employees know how to use it. Review your risks – once you have the remedies in place, make sure to regularly review them. All fire prevention tactics have to be maintained to keep your employees and company safe. Having the right business insurance policies in place will help to ensure that you have the financial protection needed in case of any disaster. 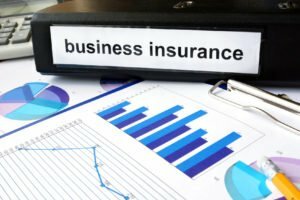 Contact the independent insurance professionals at McCarty Insurance Agency in Fresno, California for all of your commercial insurance needs. We will work with you to make sure that you have the protection that you deserve.